August 6, 2017 Michal B. The National Museum is the most significant Czech museum institution. 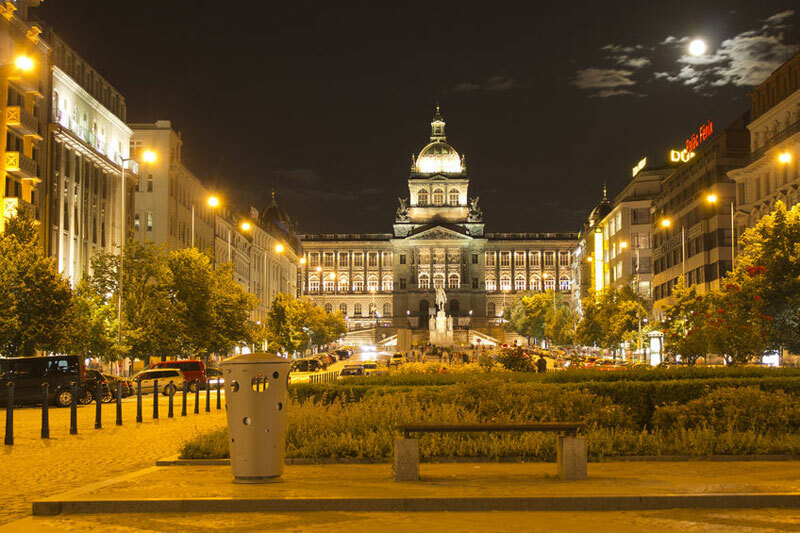 Its main, historical building in Prague’s Wenceslas Square is currently closed for reconstruction, with the re-opening scheduled for 2018, when the National Museum will have celebrated 200 years of its existence. But you can still see the beautiful historical building from the outside and/or visit other buildings of The National Museum in Prague. 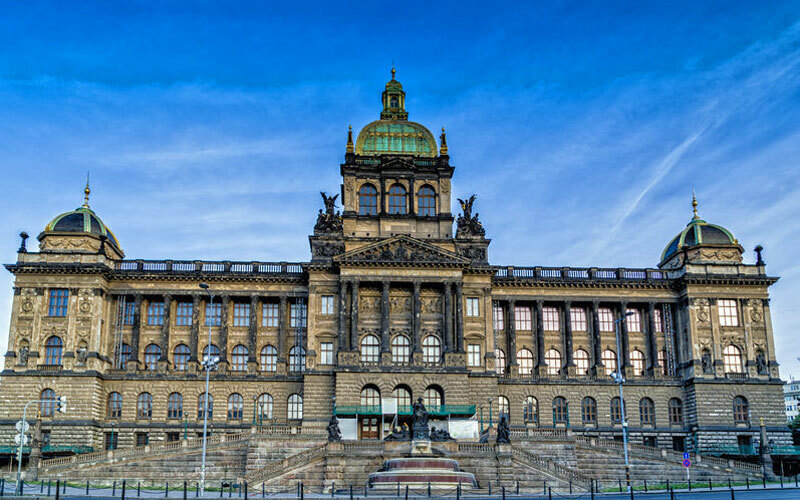 The main building of the Czech National Museum, a magnificent Neo-Renaissance monument from the 19th century, is located at the top of the Wenceslas Square. It has been closed since July 2011 for massive and essential reconstruction works, but in the meantime there’s no need to despair. There is plenty to see in the National Museum New Building, The Náprstek Museum of Asian, African and American Cultures, Czech Museum of Music, and other buildings belonging to the National Museum, all of them absolutely worth visiting. The National Museum (“Národní muzeum” in Czech) focuses on many science and collection fields and it manages its collections in a number of buildings not only in Prague, but also elsewhere in the Czech Republic. It was founded in 1818 under the name of “Patriotic museum of Bohemia” (“Vlastenecké museum v Čechách”). The foundation was supported by the academic public and the nobility. For example, the famous Czech historian and the most influential person of the Czech National Revival (often called “Father of the Nation”) František Palacký was involved. Kašpar Maria Šternberg, a world renowned palaeontologist, was the actual founder. He donated his large collections to the Museum. Nowadays, the National Museum contains millions of museum items. Its collections include Czech and foreign material testimonies to the development of nature and history. Within the frame of a uniquely large number of long-term and temporary exhibitions, one can learn, among other things, about geology, palaeontology, zoology, anthropology and prehistory. The National Museum also keeps the Czech historical book stock and its representatives pursue publication, educational, and lecturing activities. The above mentioned reconstruction of the main historical building of the National Museum was long planned and absolutely necessary. Since its foundation, the building had not undergone any major repairs and if not reconstructed it would have had to be closed for safety reasons. The aim of the reconstruction is to save this significant national cultural monument, and also to turn it into a modern museum premise. During the reconstruction of the main building, some of the exhibits are displayed in other National Museum buildings, as part of temporary exhibitions. The historically and architecturally valuable building had been damaged most of all by two military attacks – in 1945 and in 1968. At the end of World War II, during the Prague uprising (May 1945), the building was hit by an aerial bomb. And in 1968, when the occupation (one of the darkest eras in Bohemian history) started, the Soviet military armed vehicles drove onto Wenceslas Square. They shot at the National Museum, thinking it was the Czech Radio building. Also, the National Museum building´s statics were damaged during the construction of the Prague metro A line in the 70s of the last century. The Czech National Museum consist of five specialized, professionally autonomous institutions: the Museum of Natural Science (“Přírodovědecké museum”), the Historical Museum (“Historické museum”), the Naprstek Museum of Asia, African, and American Cultures (“Náprstkovo muzeum asijských, afrických a amerických kultur”), the National Museum Library (“Knihovna národního muzea”) and the Museum of Czech Music (“České museum hudby”). 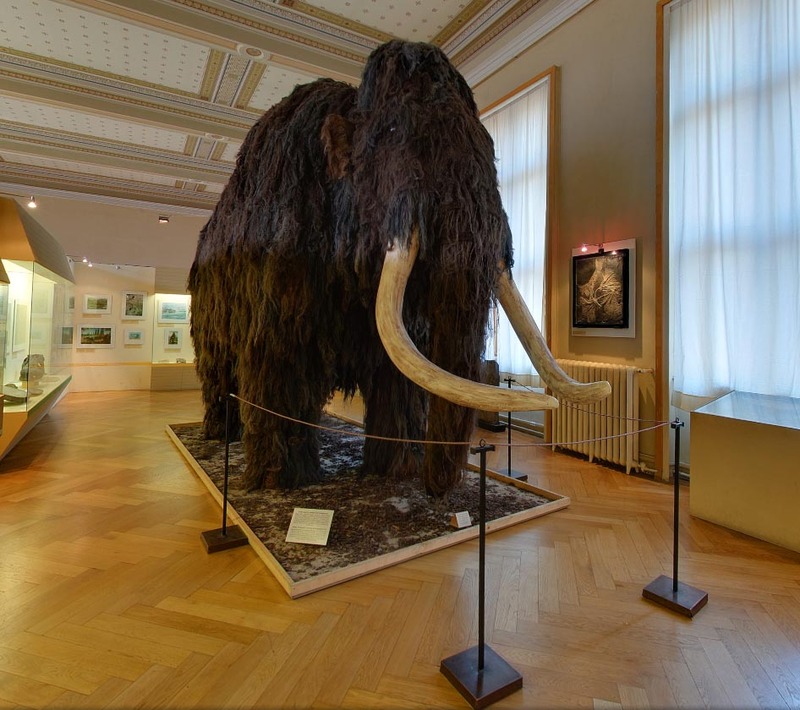 The National Museum unites 16 objects and expositions in the Czech Republic. Let us mention the most important Prague ones. The most significant one is the currently closed main historical building on the top of Wenceslas Square. This Neo-Renaissance building amazes with its decorations, created by some of the most renowned Czech artists, painters and sculptors, such as Vojtěch Hynais (also the author of the famous curtain of the Prague National Theatre). There are 72 names from Czech history written in gold on the façade of the building, too. The National Museum New Building at Vinohradská street, Prague 1, is another very important building under the National Museum jurisdiction. The former seat of the Radio Free Europe was transferred under the jurisdiction of the National Museum in 2009. Nowadays it hosts, among other things, a long-term exhibition, “Noah’s Ark”, focusing on animals that live or used to live on our planet. The Czech Museum of Music, located on Karmelitská street, Prague 1, is the venue of many music-focused temporary exhibitions and a long-term one, called “Man – Instrument – Music”. This exposition introduces musical instruments not just as remarkable testimonies of craftsmanship and artistry, but also as the main mediators between music and men. 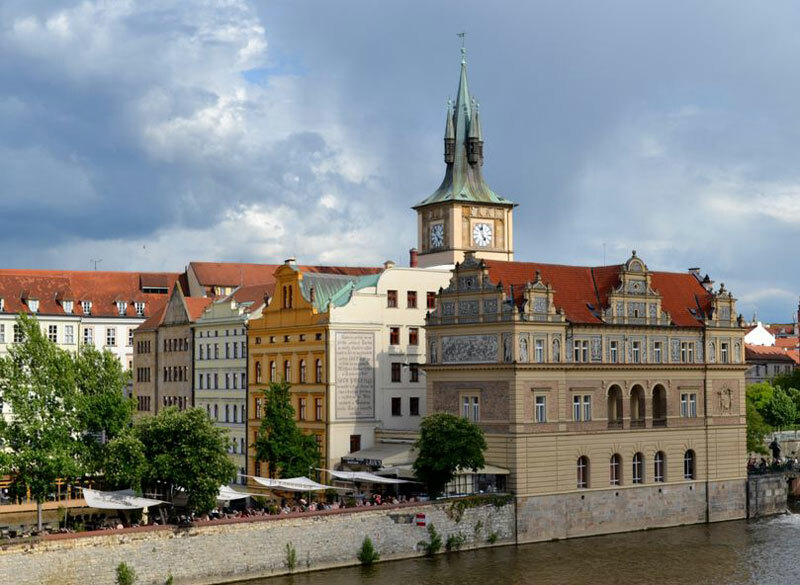 The Lapidary at Prague 7 is the permanent venue of an exhibition called “The monuments of stone carving in Bohemia from the 11th to 19th Century”, while the Antonín Dvořák Museum (Prague 2) focuses on the life and work of one of the most famous Czech composers. Another world renowned Czech master of music, Bedřich Smetana, is honored by the Bedřich Smetana Museum (Novotného lávka, Prague 1). We also need to mention the Náprstek Museum of Asian, African and American Cultures at the “Betlémské náměstí” square (Prague 1). It is the venue of two long-term expositions: “Cultures Of Australia and Oceania” and “Vojta Náprstek”. The latter one focuses on the founder of the museum, a propagator of female education and overall progress. Last but not least, the National Museum Library, located in the New building of the National Museum, is yet another part of the Czech National Museum, which should not be missed. The public scientific library is the second biggest library in the Czech Republic. The buildings of the National Museum are located all around Prague (and also the rest of the Czech Republic). The main building which is closed for reconstruction (see more details above) is located directly at the top of Wenceslas Square (Wenceslas Square 68, 115 79 Prague 1). You won’t get inside, but you can still take beautiful pictures of the museum’s exterior. It’s well worth visiting, especially during the dark. To get there you can take either metro lines A or C to station “Muzeum”, or tram number 11 or 13 to station “Muzeum” and walk down. Alternatively you can go to station “Vaclavske namesti” on tram number 3, 9, 17, 21 or 24 and walk up through Wenceslas Square. As mentioned above the main building of National Museum is currently undergoing a reconstruction and is scheduled to reopen in October 2018. However you can take a free virtual tour and see all the exhibitions on your computer. Including the massive mammoth 4 meters tall mammoth. All the museums and exhibitions below are part of the National Museum, so won’t go wrong by visiting any of them. National Museum is not just a one building.